Sarah grew up in Asheville, NC and is a graduate of the University of North Carolina at Asheville. She has been around Rockmont for most of her life as the granddaughter of past Registrar Linda Butler, and the daughter of current Registrar, Rebecca Becker. 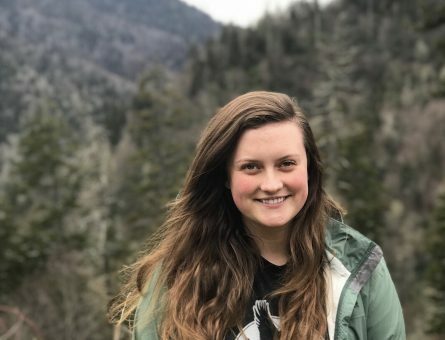 After working in various programs for eight summers, Sarah joined the year-round staff in August of 2018 as the Administrative Assistant for Staff Development. She is grateful and excited to be able to continue to encourage campers and staff to grow as a part of the Rockmont community! When she’s not in the office Sarah enjoys spending time outside, rainy days, reading, playing with the various camp dogs, and spending time with friends and family.